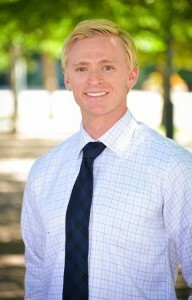 Dr. Corson is a 2nd generation dentist who was born and raised in Parker, Colorado. Mike did his undergraduate studies in Fort Collins at Colorado State University. He then attended the prestigious Indiana University school of Dentistry graduating in 2001. Due to his academic success in school Mike was awarded the Health Professions Scholarship by the United States Army in 1997. Upon graduation Dr. Corson had the privilege and honor of serving his country in the post 9/11 era. While stationed at Fort Hood he gained advanced training in the areas of Oral Surgery and Endodontics working along side specialists on a daily basis. While there Mike served as the 1st Brigade Dental Surgeon for the 1st Brigade Combat Team, 1st Cavalry Division. From March of 2004 to March of 2005 his unit deployed to the front lines of Sadr City, Iraq where he was responsible for the care of over 10,000 soldiers, civilians and contract workers. Upon returning from the war Dr. Corson and his wife moved to Scottsdale, AZ where Mike had the unique opportunity to train and work with one of the leaders in the world of cosmetic dentistry Dr Mark Peck. For the next 5 years Mike learned hands on how to deliver the highest quality cosmetic and full mouth rehabilitations while providing all the endodontic and implant surgical needs of the practice. During those 5 years Mike performed hundreds of documented clinical cosmetic and implant cases. While in Scottsdale Mike also engaged himself in over 2,000 hours of additional advanced clinical education all over the United States. 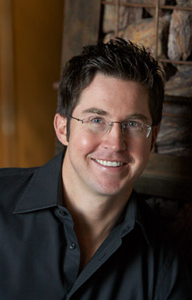 Mike was fortunate enough to be associated with the Scottsdale Center for Education where he currently serves as a faculty mentor teaching other dentists with the Frank Spear Institute a world recognized dental education center in the areas of cosmetics, occlusion and Full Mouth Rehabilitation. As a general dentists his implant training is unprecedented having trained with the leaders in the field. 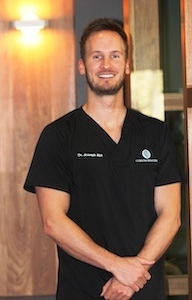 In 2009 he graduated and became a Fellow of the Misch International Implant Institute after completing both the surgical and prosthetic programs and passing a written examination. In 2008 he attended a 10 month surgical implant program called the Medical College of Georgia’s Maxi Course where he achieved Associate Fellow Status with American Academy of Implant Dentistry after passing a rigorous written and oral examination by experts in the field of implant dentistry. During this time he also received his training in IV sedation. This also gave him Fellowship status with the International Congress of Oral Implantologists. He received Fellowship in the Academy of General Dentistry after passing another 500 question written examination that encompasses all areas of general dentistry. There are only a handful of dentists in the United States that have accumulated these kinds of credentials. Because to Mike learning never ends and giving his patients the highest caliber of treatment he continues his efforts in higher education. Mike currently is pursuing accreditation status with the American Academy of Cosmetic Dentistry, Master status with the American Academy of General Dentistry, Diplomate status with American Board of Oral Implantologists, Diplomate status with the International Congress of Oral Implantologists and Mastership with the Misch International Implant Institute. More important to Dr. Corson than all his awards and achievements are his beautiful wife and children. He has been married to his wife Kelsey for 12 years and in that time they have been blessed with 4 daughters named Quinn, Harper, Norrie, and Eddie. Dr. Corson and his family enjoy spending time in the mountains and near rivers doing some fly fishing. Mike also enjoys playing golf and cheering for the local sports teams with his friends. 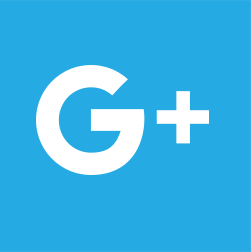 Read our reviews or write a review about us on Google Plus. Tell us how your experience with us was. We want to hear your feedback.